I haven’t done an anime round up yet! Be on the look out for more round up posts like this in the near future! If you’re looking for a romance series you can knock out in a weekend (or *cough* a day *cough*), take a look at my favorites so far! Feel free to drop your own short and sweet anime suggestions in the comments! You might see them featured in the next Saturday Suggestion post. 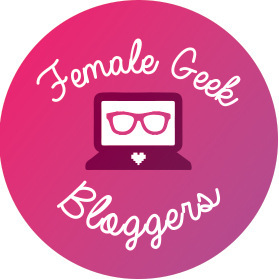 Geeky Gal’s Score: 4 out of 5 stars! Bottom Line: All aboard the feels trip. Full Review: Saturday Suggestion – Anime: My Love Story!! Bottom Line: It’s not your typical romance, and that’s a good thing. That concludes our very first anime round up! With only 4 anime on the list, I think it’s time I dive back into some of my favorite shows for some more Saturday Suggestion posts. I would love to hear from you guys so feel free to drop some suggestions in the comment section here or on Facebook! What short and sweet anime do you recommend? Let me know in the comments! I have seen all of these, and “Say ‘I Love You'” was my favorite. It’s sweet but very relatable, and they do a great job fleshing out the characters. Very memorable anime! Second favorite on this list would be Ouran. What can I say? Another independent female lead and lots of in-depth character development. Ohhh! I can’t wait to try your suggestions since you like these anime too! Thanks for the suggestions! I used to watch a ton of anime, but haven’t picked up anything new recently. I don’t but I can’t wait to give them a try!